Clarakosi claimed T220221: Recommendation API end point has disappeared after the upgrade. hashar awarded T219879: Create a test runner for end-to-end API tests (Phester) a Love token. Clarakosi created T219520: Replace online validator with swagger-cli. Mill <mill@mail.com> committed rMSKSeff0cd7d6345: dcaaaaaaaaaaaa (authored by Clarakosi). Mill <mill@mail.com> committed rMSKS6ad965f41aeb: xiaaaaaaaaaaaa (authored by Clarakosi). Clarakosi committed rMSKS687f981c5a18: Add log filter (authored by Clarakosi). Clarakosi committed rMSKS7be6cf20970d: Update HTTP errors URIs (authored by Clarakosi). Clarakosi committed rMSKS730f6d802e57: Update HTTP Problem URIs (authored by Clarakosi). Clarakosi committed rMSKSa294b114031b: Update HTTP errors URIs (authored by Clarakosi). Clarakosi committed rMSKSac5ecb793959: Add log filter (authored by Clarakosi). Clarakosi committed rMSKS2bfdd0d9b4f3: Add log filter (authored by Clarakosi). Clarakosi committed rMSKSea956f173762: Add request id to log messages (authored by Clarakosi). Clarakosi committed rMSKSf6bf6b3cb9ce: Add request id to log messages (authored by Clarakosi). Clarakosi committed rMSKSe62facce9a73: Add request id to log messages (authored by Clarakosi). Clarakosi committed rMSKS7709b3f97cf7: Add request id to log messages (authored by Clarakosi). Clarakosi moved T210426: Replace `json-stable-stringify` with `fast-json-stable-stringify` from Backlog to In-Progress on the User-Clarakosi board. Clarakosi committed rMSKSad317bf5e2b1: Add request id to log messages (authored by Clarakosi). Clarakosi committed rMSKS21eeb7a14c2a: Add request id to log messages (authored by Clarakosi). Clarakosi moved T217650: Deployment strategy for the session storage application. from Backlog to Next on the User-Clarakosi board. Clarakosi committed rMSKSa012258daabd: Add request id to log messages (authored by Clarakosi). Clarakosi committed rMSKSf8518140b55d: Add request id to log messages (authored by Clarakosi). Clarakosi added a comment to T209110: Logging for the session storage service. To better keep track of request errors we have been asked to add a request id to log messages from requests that include it in the X-Request-ID header. I’m adding it as request_id but @fgiunchedi please let me know if there is another field name that is currently being used or preferred. Clarakosi committed rMSKS0f19457b6af9: Use prometheus version 0.8.0 (authored by Clarakosi). Clarakosi committed rMSKS6eb69d3f787a: Use prometheus version 0.8.0 (authored by Clarakosi). Clarakosi committed rMSKSc43482ab04d5: Use prometheus version 0.8.0 (authored by Clarakosi). Clarakosi committed rMSKS45c1e6b0ab13: Use prometheus version 0.8.0 (authored by Clarakosi). Clarakosi committed rMSKScc7f8526f2fc: [WIP] Use prometheus version 0.8.0 (authored by Clarakosi). Clarakosi committed rMSKS0ea53edf5be5: [WIP] Use prometheus version 0.8.0 (authored by Clarakosi). Clarakosi committed rMSKSf32f450464e9: [WIP] Use prometheus version 0.8.0 (authored by Clarakosi). Clarakosi committed rMSKS0d8b5f3dfeb6: [WIP] Use prometheus version 0.8.0 (authored by Clarakosi). Clarakosi committed rMSKSeca2f9601842: [WIP] Use prometheus version 0.8.0 (authored by Clarakosi). Clarakosi committed rMSKSedd50b6ead1e: [WIP] Use prometheus version 0.8.0 (authored by Clarakosi). Clarakosi committed rMSKS14cdb5f50cb5: [WIP] Use prometheus version 0.8.0 (authored by Clarakosi). Clarakosi committed rMSKSeb3f52c47d42: [WIP] Use prometheus version 0.8.0 (authored by Clarakosi). Clarakosi committed rMSKS3a7999f2f911: [WIP] Use prometheus version 0.8.0 (authored by Clarakosi). Clarakosi committed rMSKSae12d14c7dca: Update .pipeline/blubber.yaml (authored by Clarakosi). Clarakosi committed rMSKS2dc00805ddf9: FOR TESTING PURPOSES ONLY (authored by Clarakosi). Clarakosi committed rMSKS34db308be8fc: Kask TLS configuration (authored by Clarakosi). Clarakosi committed rMSKSb11e509914ce: Add .pipeline/blubber.yaml (authored by Clarakosi). Clarakosi committed rMSKS60b27679cce2: Add .pipeline/blubber.yaml (authored by Clarakosi). Clarakosi committed rMSKS2ab1d657c785: Update log mapping (authored by Clarakosi). Clarakosi committed rMSKS5a95f18dcfd7: Kask TLS configuration (authored by Clarakosi). Clarakosi committed rMSKS689367a764b4: Kask TLS configuration (authored by Clarakosi). Clarakosi committed rMSKSf183b1a8f33b: Kask TLS configuration (authored by Clarakosi). Clarakosi committed rMSKS5689e47f47da: Kask TLS configuration (authored by Clarakosi). Clarakosi committed rMSKS33f8993710a8: Add POST test for bad requests (authored by Clarakosi). Clarakosi added a comment to T209106: Setup session storage service testing/continuous integration. Thanks for this thorough feedback @dduvall! We really appreciate it. Clarakosi committed rMSKSe7d02d2d006f: Add POST test for bad requests (authored by Clarakosi). Clarakosi committed rMSKS26cac27c3a06: Add empty body check for POST requests (authored by Clarakosi). Since critical is the next Syslog severity level above error, I agree with the above mapping outlined by @Eevans for FATAL. Clarakosi committed rMSKS127762865650: Add .pipeline/blubber.yaml (authored by Clarakosi). Clarakosi committed rMSKS6de6e7b31207: [WIP] Added .pipeline/blubber.yaml (authored by Clarakosi). Clarakosi committed rMSKS291c1e796f02: [WIP] Added .pipeline/blubber.yaml (authored by Clarakosi). Clarakosi committed rMSKSbaf8830d40b2: [WIP] Added .pipeline/blubber.yaml (authored by Clarakosi). Clarakosi committed rMSKS1b29763ec641: HTTP handler cleanups (authored by Eevans). Clarakosi moved T206016: Create a service for session storage from Backlog to In-Progress on the User-Clarakosi board. Clarakosi moved T209098: Document the session storage service from Backlog to In-Progress on the User-Clarakosi board. Clarakosi moved T209108: Monitoring and data collection for session storage service from Backlog to In-Progress on the User-Clarakosi board. Clarakosi moved T209110: Logging for the session storage service from Backlog to In-Progress on the User-Clarakosi board. Clarakosi moved T215533: Enable use of session storage service in MediaWiki from Backlog to Next on the User-Clarakosi board. Clarakosi updated the task description for T206015: Plan/design a session storage service. Clarakosi committed rMSKS78a6c5377112: Added start/stop to makefile (authored by Clarakosi). Clarakosi committed rMSKS7e9a60097d74: Added start/stop to makefile (authored by Clarakosi). Clarakosi committed rMSKSc8ea4ba25579: Added linter to tests (authored by Clarakosi). Clarakosi committed rMSKS64cfdbe1a6c7: HTTP Prometheus metrics (authored by Clarakosi). Clarakosi committed rMSKS98e5250da504: HTTP Prometheus metrics (authored by Clarakosi). Clarakosi committed rMSKSaa9770a19393: HTTP Prometheus metrics (authored by Clarakosi). Clarakosi committed rMSKSa6569bf1c016: Basic CEE/lumberjack specs added to log messages (authored by Clarakosi). Clarakosi committed rMSKS5fd99639a078: Basic CEE/lumberjack specs added to log messages (authored by Clarakosi). Clarakosi committed rMSKS329f9c3744a5: Basic CEE/lumberjack specs added to log messages (authored by Clarakosi). Clarakosi committed rMSKSbbb749550b77: Basic CEE/lumberjack specs added to log messages (authored by Clarakosi). Clarakosi committed rMSKS81e87a70f273: Basic CEE/lumberjack specs added to log messages (authored by Clarakosi). Clarakosi committed rMSKS55a350380801: Basic CEE/lumberjack specs added to log messages (authored by Clarakosi). Clarakosi committed rMSKSd7d0558917e4: Added linter to tests (authored by Clarakosi). Clarakosi committed rMSKSb0e0bc87408d: Basic CEE/lumberjack specs added to log messages (authored by Clarakosi). Clarakosi committed rMSKS7eb5ae37756a: Basic CEE/lumberjack specs added to log messages (authored by Clarakosi). Clarakosi committed rMSKS66931ddbc2a3: Basic CEE/lumberjack specs added to log messages (authored by Clarakosi). Clarakosi committed rMSKS6c8338ed6e68: HTTP Prometheus metrics (authored by Clarakosi). Clarakosi committed rMSKS7b91adaaf6e8: HTTP Prometheus metrics (authored by Clarakosi). Clarakosi committed rMSKS16720446f76c: Added linter to tests (authored by Clarakosi). Clarakosi committed rMSKS931250a83f74: Added lint to makefile (authored by Clarakosi). Clarakosi committed rMSKS413ecdb73676: Basic CEE/lumberjack specs added to log messages (authored by Clarakosi). Clarakosi committed rMSKSf5769c83d966: Basic CEE/lumberjack specs added to log messages (authored by Clarakosi). Clarakosi committed rMSKS0ed9df303cbc: Basic CEE/lumberjack specs added to log messages (authored by Clarakosi). Clarakosi committed rMSKS4c3dafb51d05: Basic CEE/lumberjack specs added to log messages (authored by Clarakosi). Clarakosi committed rMSKSc7cf2c2fbfb6: Basic CEE/lumberjack specs added to log messages (authored by Clarakosi). Clarakosi committed rMSKS51cb916c2594: Removed binary start/end from integration tests (authored by Clarakosi). Clarakosi committed rMSKS19389fc883fd: Modified integration tests (authored by Clarakosi). Clarakosi updated the task description for T209099: Establish baseline performance of Python/WSGI frameworks. Clarakosi moved T209099: Establish baseline performance of Python/WSGI frameworks from Backlog to In-Progress on the User-Clarakosi board. 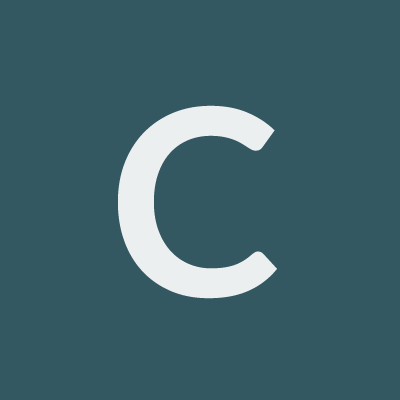 Clarakosi added a comment to T206048: Eliminate Parsoid section.offsets table from Cassandra. Clarakosi moved T209106: Setup session storage service testing/continuous integration from Backlog to In-Progress on the User-Clarakosi board. Clarakosi added a project to T128525: Strip old metadata from old Parsoid content <head>: mw:TimeUuid, user, comment: User-Clarakosi. Clarakosi added a project to T129503: Enable test coverage for mathoid: User-Clarakosi. Clarakosi added a project to T154240: Update the template's configuration documentation: User-Clarakosi. Clarakosi added a project to T179682: Resolve issues with a volunteer pull request for html-metadata library: User-Clarakosi. Clarakosi added a project to T195066: Split examples away from service-template-node: User-Clarakosi. Clarakosi added a project to T199301: Allow overriding git config with command line in docker build script: User-Clarakosi.